I so enjoyed these two together, but their story touched me emotionally, it was so moving! Warning there you will need your tissues handy! As usual Carrie Ann Ryan has written a story that pulls at your heartstrings, holds your attention and reaches deep inside you. You can not help but be moved by this book. Ainsley and Loch are best friends, they have been for ages, neither one of them thought they would ever be more than that. Then the mother of his child decided that she didn't want to be involved with Loch or their precious daughter anymore and signed over all parental rights - how can a mother do that? Loch basically became a single parent and Ainsley became even more involved in Loch's life. She was always there to help him with his daughter in any way she could. Ainsley had always loved Loch but was afraid to tell him, she feared she might lose her best friend and Loch was very afraid of changing things between them because after his experience with the mother of his child he now has deep-seated issues regarding relationships. Then, things come to a head, we get to see how wrong Loch's fears and thoughts regarding a future with Ainsley truly are, and how determined Ainsley really is. I loved the way that she fought for what she wanted and finally made her best friend see what they could really have together if he would just let go of this fears. These two are made for each other the chemistry between them is palpable and hot, and because of their familiarity and friendship and trust built up over such a long time they really do know each other better than most and they deserve to have their HEA but they will have to fight not only their fears but forces from Loch's past. I loved every single one of these three amazing stories. I found myself getting lost in them. I couldn't stop til I read everyone from cover to cover book after book. A great way to spend a lazy weekend. Thank you so much. Now on to the Montgomery ink series. When I started reading I couldn't put it down. 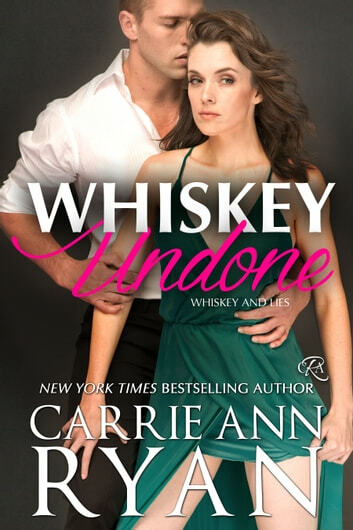 Carrie Ann Ryan is magnifysent and amazing writer.I cannot wait to read more of there books.Keep up the great work.You should definitely read this book.Can't wait for the next book. I loved all the Whiskey series. So much drama , love, and hotness. Each had suspense in them and I couldn't put it down until I found out what happened.